Hey everyone! Father's Day is coming up quick. Last year I reached out to some of my dad blogger buddies and asked them what they were hoping to see under the Father's Day Tree on Father's Day morning. Last years list was super popular, so I decided to do it again this year! The over-arching theme of this years list seems to be Star Wars... and whiskey and bean bags. Looking for a Father's Day Gift for 2015? These 10 dads are here to help! Sick of the #1 Dad Mug? Buy this T-Shirt called Number One Dad. My wife would say I need another T-shirt like I need more Star Wars stuff. Joke's on her! This gift combines two of my favorite things, being a dad and Star Wars. Maybe it is the fact that I am a walking billboard but every time I wear this shirt it makes me feel like the last piece of bacon on a breakfast plate. Everyone wants it! 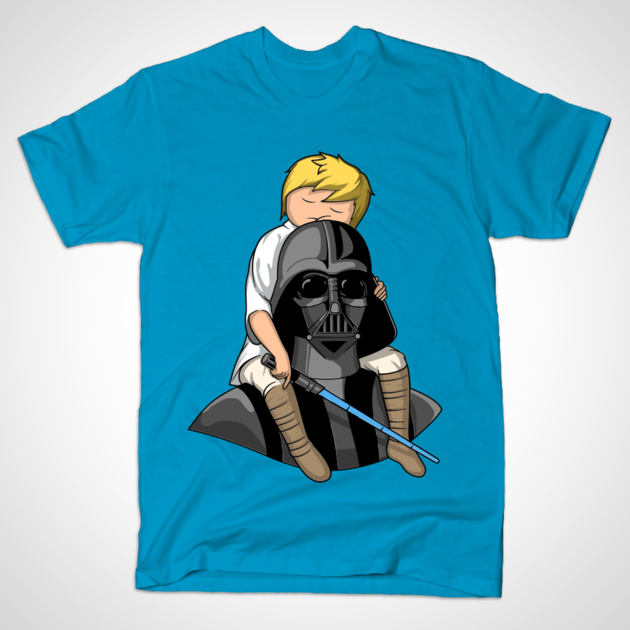 I've had more conversations with dads I didn't know over this simply clever shirt and, if you don't like this one, Teepublic has 135 pages of just Star Wars shirts so there is bound to be one you do like. I've known Scott Behson for a few years now. He is one of the smartest, most capable fathers I know. I am only a third of the way through this book, and I can already say it was worth every penny I paid for it. As a working dad, this book hits home for me in every way. I strongly recommend picking it up. 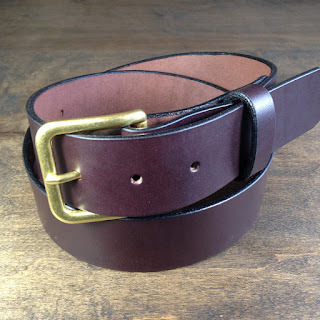 My Father's Day gift idea is anything from Josh and Jen at Koch Leather. They are currently updating their website but they are typically very responsive to customer requests. When our kids got old enough that we stopped carrying a diaper bag it posed some difficulty. We didn't need a diaper bag but we needed something to carry the endless supplies that we carried to support our children. Things like extra snacks, water bottles, sweaters, pants, t-shirts, socks, shoes, sunglasses, sunscreen, hats and basically anything else we could carry out of the house. This is why we decided to invest in a Koch Leather tote bag. Their totes are stylish enough for me to carry and also strong enough to hold everything and to look awesome. Win-win-win. If you are not a big spender, Koch Leather still has a variety of small items that may fit your budget. Whatever you get from Koch Leather you will be a happy daddy! 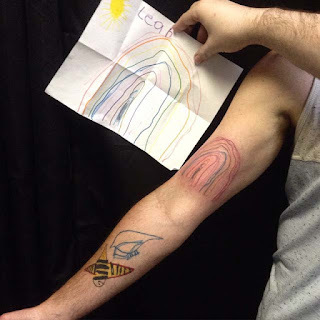 If you love your kids you'll spend an hour getting stabbed repeatedly by a needle! Truthfully, this gesture has very little to do with the amount of love you have for your child but is an excellent idea for dads who have already been thinking about getting "ink did" to remind them of their kids. Through personal experience I can also promise that in addition to smiling every time you catch a glimpse of their work on your arms, legs or wherever you've chosen, you'll also spend the time in the tattoo shop high-fiving the artists who come in to look at one of the coolest and most original pieces they've seen that week. You'll also feel less regret the next time you make a late-night recycling purge of all the art they bring home from school. I've always wanted a bean-bag chair. But my parents never got me one. They also never got me the fully functional space-shuttle I wanted, so that's two strikes. As a kid, I'd have accepted either one, and now that I look back on it, I'm pretty sure my parents missed a surprisingly achievable opportunity to make one of my two biggest dreams come true. Now that I'm an adult, I've (kind of) given up on owning a space shuttle. But I'll never give up on having a ridiculously comfy spot to watch movies, read stories with my five-year-old, or to act as a landing pad for unlikely gymnastics. 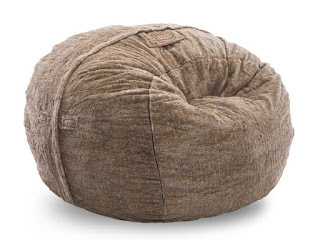 Simply put, I want a great bean-bag chair, and from decades of wistful research and anecdotes from my peers, Lovesac makes the Cadillac of bean-bag chairs. Someone get me one, stat. I don't care what anyone says about the so-called "Dad Bod." We could probably all stand to lose a few inches and shave a few pounds. I know I could. 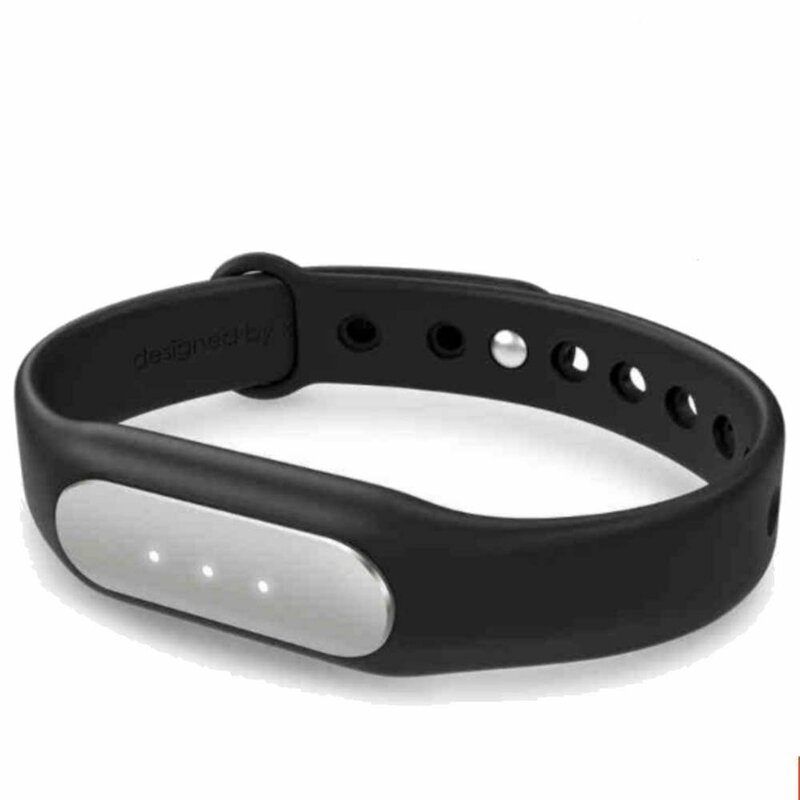 When I reviewed the Xiaomi Mi Band earlier this year, I didn't have the highest of hopes. At just twenty bucks, it's a fraction of the cost of other fitness trackers. How good could it be? As it turns out, it's surprisingly great, complete with detailed sleep tracking and a very elegant mobile app. The 30-day battery and IP67 waterproof rating don't hurt either. I figured that every Father's Day list needs a Star Wars plug. After all, one of the most memorable lines from the movies is "Luke, I am your father." Being the Star Wars nut I am, coupled with the fact that a new movie is coming out late this year, what dad wouldn't want this. I know I do. I always ask for Star Wars stuff for holidays because I never buy them for myself. I love this backpack because it has a lot of different pockets (just like a Rebel flight suit) and it holds all the stuff you bring on your journeys. And by your stuff, I really mean, all your kids stuff that you get to lug around for them. Enjoy. 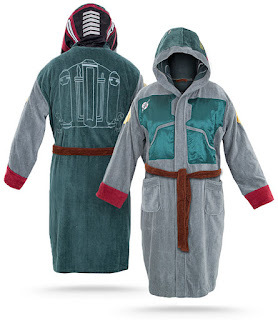 Even the most feared bounty hunter in the entire galaxy likes to unwind and be comfortable. Whether I'm drinking my first cup of coffee of the day or drying off after a shower. I always like to represent the greatest mandalorian ever! blanket. It would stay on my bed and lead me to dreamland. Ahh! Oh yeah, I want My Pillow. I don’t get enough sleep. Does any father of young children? Therefore, the sleep I do get should be restful, so that I wake up feeling ready for the day. I’ve heard a million ads for My Pillow, and each time I imagine myself with my head on the pillow. Just the thought itself is comforting. You give My Pillow to the dad in your life, and you will make him one happy man! I know this book has been out a few years, but with six months to go until the release of the new Star Wars film, and also having recently introduced my boys to the saga now that my first born is of the age that I knew he'd appreciate it more, I have rediscovered my own love for Star Wars. I have bought the set of the DK readers which is helping him learn to appreciate reading, and seeing that he gets to read about something he has fallen in love with, that's a bonus for him and for me. I have walked past this book in book stores and department stores a few times and have been very tempted to buy it, but I thought that I would leave hints so that my wife knows what I would like if she's planning on getting me something on behalf of the boys for Father's Day. 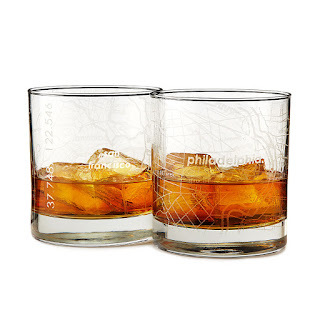 A great gift for Father's Day are these cool City Map glasses. Living in Las Vegas where everyone is from somewhere else, many people find the need to relate to where they came from. From cheering for a sports team from their home state to buying food and drink that they had growing up that they miss, they search for that connection. 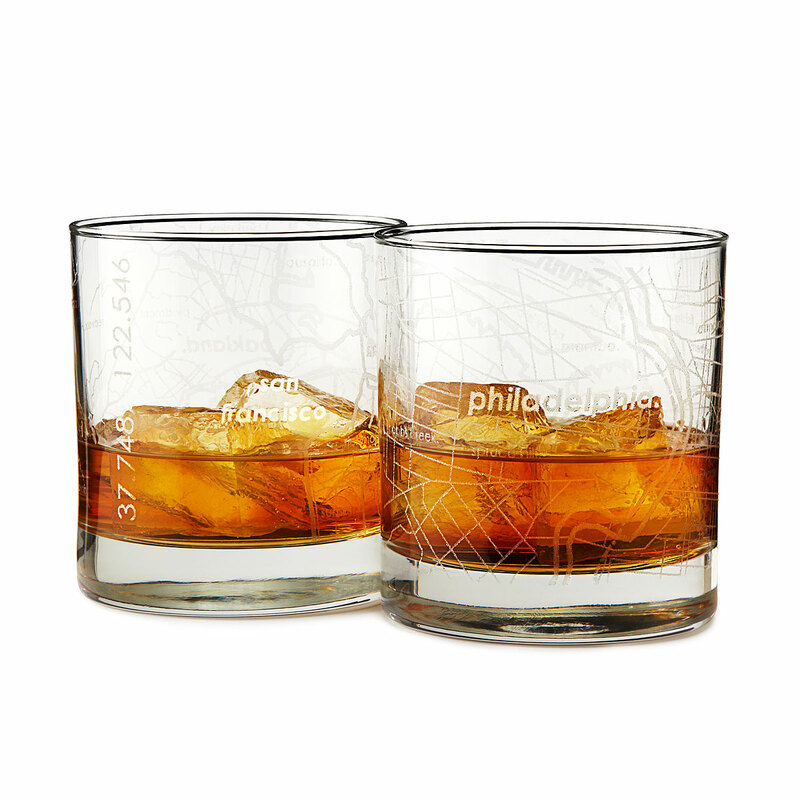 Everyone is proud of where they are from (well...most everyone) and these glasses help show off your favorite city whether you lived there in the past, or still reside there. I don't need one of these, because I already have one. But if the dad in your life doesn't have one, he needs one. This skillet is the most important pan in my kitchen. I use it to sear and broil steaks. It is great for fish. You can move it from the burner to the oven. You can put a beatiful sear on just about anything, including your hand - be careful. But really, I love this skillet. I love it with all my heart, and if you have a dad in your life who loves cooking, but doesn't have a cast-iron skillet, he will love it too! OK, that's it. If you can think of anything we missed, add it in the comments! Also, be sure to come find me on the Ask Your Dad Facebook Page and say hello! Gifts are important, but don't forget to include a card and maybe lift a glass to Dad with a toast! Don't know what to say? Check out Cards & Toasts for Father's Day: Express Yourself in Rhyme http://www.amazon.com/dp/B00ZA137JK. This book includes 85 rhymes of different lengths which you can use as is, or mix and match, to the right words to match your feelings. Make this Father's Day special for Dad with words that count! I had recently gifted my father an expensive watch for his birthday. So this time for father's day I'm thinking of sending him a bouquet of flowers online from http://www.flowerscanada.com/ along with a card. A bunch of Gerbera daisies will definitely brighten up his day. My dad wouldn't mind having a few of these things. Great ideas, and great reminder. I need to get shopping. Just impressed with your writing.Gifts in Coimbatore I found that the blog is interesting and valuable. Thanks for this! Hi,It's Father's Day!A day made to demonstrate your dad, step-dad, adopted dad,surrogate dad, and essentially any father figure the amount you mind.You examine for quite a long time and attempt to make sense of what you ought to accomplish for the guy that has given you everything.Should you cook him breakfast and purchase him some new tools?Should you astound him with tickets to see his favorite sports team?You without a doubt shouldn't be basic and get him a tie or appalling socks.Good day. PLAN SOMETHING DIFFERENT FOR YOUR DAD, NOW THINGS CHANGED A LOT, ONE THING KEEP IN MIND THAT packing material IS OF HIGH QUALITY WHICH REFLECTS DIFFERENT FROM OTHERS.